With the question of sustainability at the forefront of the seafood industry, many consumers are confused not only about which seafoods represent the best sustainable choices, but where to find reliable sustainable, quality seafood online. 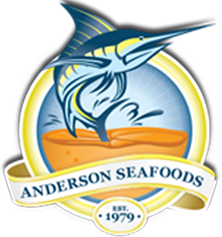 Anderson Seafoods has been America's seafood source for over 35 years. There are heated debates about which sustainability practices are best and which species can be raised in a sustainable environment. There is copious and often conflicting information available from various organizations. Anderson Seafoods would like to take this opportunity to help you understand the issues surrounding sustainability. Sustainable seafood is seafood from either fished or farmed sources that can maintain or increase production in the future without jeopardizing the ecosystems and communities from which it was acquired. We source from seafood suppliers who have our same vision and encourage those who do not, to have a better vision and become more sustainable. Anderson Seafoods is serious about its eco-impact. We do not do business with seafood suppliers that overfish, deplete fish stocks or destroy their habitat. With 2 USDC inspected facilities, over 100 employees and a wide reach to seafood consumers across the globe, Anderson Seafoods is passionate about the future of the world’s seafood supply, and recognize a need to balance environmental practices with consumer demand for more popular favorites. We are excited to partner with the Aquarium of the Pacific in the SEAFOOD FOR THE FUTURE program, which will help us fulfill our sustainability commitments and educate existing suppliers as well as finding the ones who share our philosophy of sustainability. We strongly believe this will have a real impact in the marketplace, and ultimately in our waters. Creating more demand for seafood from sources that support healthy oceans puts us on course to improving fishing practices around the world. For a more in-depth analysis on this particular topic, we invite you to visit our sustainability section on our wholesale site.